Do Hummingbirds really hitch rides on the backs of geese to migrate south? It's time to set the record straight on some of the biggest hummingbird myths. Birds & Blooms shares the answer to this and other common hummingbird myths. Read the entire article..
Now is the time when many summer seekers make arrangements for that long-awaited week at the beach or in the mountains. The fraudsters' basic technique is to place phony advertisements for vacation rentals at great prices. Most commonly they steal property descriptions and photos listed on legitimate real estate websites. Or they may post addresses of homes that aren't for rent or simply invent ... Read the entire article. Step 1: Clear Out ... Read the entire article. It is so heartbreaking every time I hear of another recall from the mega-pet food industry brands like Natura's 3rd recall within the past 12 months. There's simply no excuse for that! My heart breaks for the animals who endure the results and for the pet parent's grief. Regardless of what brand you go with, make it one that's never had a recall, PLEASE! Take the time to search this out as we did. In the end it will save a lot of heartache and pain for both of you! Flint River Ranch has never had a recall and they use non-GMO ingredients too! This is why we are so passionate about getting the word out about Flint River Ranch pet foods. We left store-bought brands behind in the early 80's and have been horrified at the number of deaths, severe illness and are also concerned about those who didn't have a full reaction since these toxins take a toll on the body regardless. That's why I post this letter below from the President of Flint River Ranch foods. Yes, we are distributors of the product, but we began doing it so friends and customers of The Herbs Place could have a true "natural" option in a world where natural has nothing to do with quality. Flint River Ranch foods are price-competitive and shipping is free. You can even request auto-shipment after ordering a time or two to decide how long your food will last. That brings up another perk with a truly natural human-grade pet food; your pets will eat less of it and be healthier. We don't have to use tick and flea treatments and it's a rare thing to have a vet visit. You are what you eat applies to animals also. 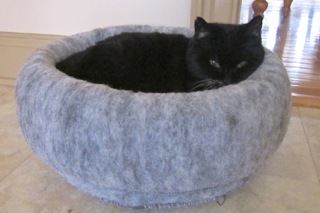 Flint River Ranch has only one option for cats, so we recommend Life's Abundance if you want more variety. It's a much better price and they have never had a recall either. This coming October marks Flint River Ranch's 19th anniversary! In those years, Flint River Ranch has helped set the industry's standard for Super Premium pet foods; all-natural formulas made with human-quality ingredients without the addition of potentially harmful preservatives. Our use of superior ingredients, along with important quality controls and a dedicated oven-baking manufacturing process, produce simple, healthy, all-natural holistic canine and feline foods you trust. While competition in our industry has increased, Flint River Ranch's commitment to quality has never wavered. While some heavily-marketed brands lack solid nutrition, many manufacturers have followed the natural trend and tried to improve their offerings. Since it's expensive to manufacture an all-natural, quality pet food, some regrettably took short-cuts. These short-cuts; like using cheaper imported ingredients, or short cutting safe production methods, proved harmful to pets and resulted in major pet food recalls that unfortunately continue to happen again & again. The stress, anger and even heartache by the past industry recalls is understandable and now with a third recall by the Natura™ company within 12 months, has caused damage to the entire industry and forced some customers to question what they are feeding their beloved pets. Flint River Ranch continues to use high-quality, tested & safe ingredients. We have never been subject to or involved in a pet food recall nor had a negative regulatory review. We have never used ingredients from China, even before Chinese-sourced ingredients came under scrutiny. We will always think of the end result of our products; your pets, first! Flint River Ranch will always support the general philosophy of keeping our products simple. Our sincere thanks from the entire Flint River Ranch Team to our loyal customers! It is enriching to be involved in your lives, and we take our responsibility of your pets' health very seriously. Hummingbirds are easy to please. They don't require a fancy feeder or a special mixture. Here's a feeder that you can make from a baby food jar and some some craft supplies. I plan on painting the lid red to attract the birds since I don't have many craft supplies lying around. Get the instructions here. After a lifetime of working and saving, our parents shouldn’t have to fend off fraudsters trying to siphon their funds. But financial exploitation of older adults is happening with increasing alarm, officials say. So to help them detect and avoid all sorts of financial abuse, from identity theft to reverse mortgage fraud, a new online curriculum and guide was launched by the Federal Deposit Insurance Corp. and the Consumer Financial Protection Bureau. It’s the latest effort by regulators to curb elder financial fraud, which costs Americans as much as $2.9 billion a year. Money Smart for Older Adults includes an instructor guide, a participant guide and Power Point slides. It can be used by adult children to teach older adults about red flags and other warnings to spot and report abuse, though officials say caregivers, bank employees, financial planners, adult protective service personnel and law enforcement officials would be the primary instructors. Read the entire article. When Appliances Break: Toss & Replace or Repair? Shopping for new electronics and home appliances can be fun, but when faced with the emergency of replacing a broken item – be it a television set or a dishwasher – that shopping “high” can be quickly cut off by the size of the price tag (or worse, your credit card bill a month later). Add to the financial pinch the hassle of getting rid of your old, broken stuff, and it’s no wonder many of us actually dread shopping for these big-ticket items — and end up calling in a repairman in hopes of saving hours of stress and hundreds of dollars. Given that your average household appliance has a lifespan of around 10 years, there are times when replacing it becomes not only necessary, but financially expedient. This becomes especially true in the case of devices where technology has drastically improved their energy efficiency. So how do you know which appliances and electronics to toss and replace, and which to take to the repair shop? Here are some quick ... Read the entire article. What is worse than bathroom smells? The choke-inducing chemical smell of spray air freshener layered on top of it. Holy smokes, it can leave you gasping for air. For bathroom deodorizing, natural, non-toxic deodorizers are actually better at masking bad smells. They’re also a lot friendlier to people who are allergic or sensitive to synthetic perfumes. Having an HVAC contractor install a proper vent fan in your bathroom is beneficial in a few ways: A vent fan can pull out routine bathroom smells, but it also can prevent mold and mildew growth, which has its own nasty smell. While my favorite way to deodorize the bathroom is to open the window or turn on a vent fan (duh), sometimes the air just doesn’t move fast enough and you need a little help. So here you go; help is on the way ... Read the entire article. Winding up the lifelong financial affairs of a deceased loved one often requires generous amounts of patience, free time and organizational smarts. The skills of a sleuth may be needed to uncover assets tucked away or forgotten. And even then, things are sometimes missed. It's natural to feel honored if a friend or relative asks you to serve as executor, or personal representative, as the position is also called. If the person is near death, the urge to say yes is all the more pressing. But given the complexities of the role, it's crucial that you take it on only if you feel fully capable. Here are a few questions to ask yourself ... Read the entire article. On Saturday morning, a young man knocked at our door. He wanted to sell us new windows. Kris tried to brush him aside gently, but he was persistent. He didn’t leave until he’d scheduled an appointment to give us an hour-long in-home presentation about his company’s product. “We do need storm windows,” Kris told me after he’d gone. The worst job I ever had was selling insurance door-to-door to little old ladies in rural Oregon. I know the tricks and techniques these folks use to get into your home and make the sale. Sometimes knowledge isn’t enough. Kris and I have purchased our share of stupid ... Read the entire article. Urine, Cat Spray, Vomit, Feces, Food, Grease, Blood, Grass, Juice, Wine, Coffee, Diapers, and Many Other Laundry and Carpet Stains. Automotive Stains, Drains, Garbage Disposals, Litter Boxes, Kennels, Stalls and Animal Trailers. Even works on Skunk Odors! PET FORCE is a powerful concentration of natural, safe, and environmentally friendly enzyme-producing bacteria designed to eliminate pet stains and odors. While most of the pet stain and odor products are able to effectively remove surface stains and odors, they lack the ingredients to break down and clean the deeply embedded stains and odors so commonly associated with urine, cat spray, and other pet messes. 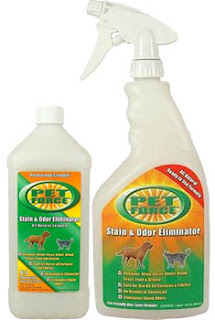 PET FORCE utilizes billions [more than 65 billion bacteria per quart] of enzyme-producing bacteria that are able to deeply penetrate all types of fabrics and remove stains and odors at their source. The bacteria’s primary function in life is to feed on and digest organic matter. The bacteria manufacture enzymes which attack the stain or odor and use it as food, thereby breaking it down into carbon dioxide and water, without scrubbing. These bacillus bacteria do not cause any type of disease and the product is safe for carpets, upholstery, clothes, mattresses, bedding, linoleum, tile, and wood. It's the #1 choice among pet owners who wish to safely, economically, and effectively remove all types of pet stains and odors and it's the #1 choice among carpet cleaning professionals. PET FORCE can reach hard-to-get-to areas by mixing with water in a spray bottle and spraying the infected area liberally. PET FORCE works below the carpeting, getting into the padding and the subfloor where the bacteria attack the waste that other products can’t reach. This will take care of the unseen odor spots your pet can still detect (and also prevents mold from occurring). It can also be sprayed in kennels, barns and stalls to control odors. Alcohol is a very common ingredient in many of the popular pet stain and odor removers. Alcohol and other similar chemicals work well for surface cleaning, but that is about all. Some of these cleaning solvents have been known to discolor delicate fabrics, and they are not usually tolerated well by people and animals with sensitive skin. PET FORCE contains a mildicide that inhibits mold and mildew growth in potentially moist areas such as carpet padding, pet beds, and upholstery. As a concentrate, it can be up to 8 times less expense than the typical ready-to-use pet stain and odor remover. Free shipping when ordered from HealthyPetCorner.com. Many of the household cleaners widely used today have certain health risks associated with their use – everything from minor skin reactions to death. Pet Force contains all natural ingredients which are completely safe to use around children and pets, and are actually beneficial to septic systems and municipal waste treatment facilities. "I am writing to let your customers know how well Pet Force works in eliminating cat urine from the carpet. We have used everything and nothing completely eliminates the strong odor of cat urine. We thought we were going to have to rip out our brand new carpet and install new. However, the Pet Force truly does eliminate the odor. We are happy that it does so in such a natural way without the strong chemical smell. It works great on laundry that has been urinated on as well." Bridget S.
"This is the BEST product on the market for removing pet mistakes!" Debbi V.
Get more detailed information and instructions on various methods of cleaning on the PET FORCE product page. In only eight (8) hours of use, the Boomerang Air and Surface Sanitizer produced a 75% reduction in fungus/mold, bacteria, viruses and aeroallergens. Great for homes, office, and hotel rooms. No maintenance or filter changes. Watch the video with The Croc Hunter. Get more information on this amazing machine. Going Virtual, Going Green: A Manifesto by Jared Seeger at Huffington Post makes a good case for telework, and includes a reference to some of our research. While the article made a convincing case, a few readers still questioned the value of telework. We’ve spent the last year researching the advantages and disadvantages of work-at-home programs for our forthcoming book Undress For Success – The Naked Truth About Working From Home (John Wiley & Sons, March 2009), and here’s what we’ve found. Telework offers a pull, rather than a push solution to a wide range of problems. It benefits employers, employees, and the community. A strong national telework strategy would increase GNP, reduce the national debt, and bring the balance of trade back in our favor. It would substantially reduce our Gulf Oil dependence. It would reduce traffic jams and the carnage on our highways. It would alleviate the strain on our crumbling transportation infrastructure. It would help reclaim many of the jobs that have been lost to offshoring, and provide new employment opportunities for at-home caregivers, the disabled, and the un- and under-employed. It would improve family life, and emancipate ... Read the entire article. There's the usual: laptop, smartphone, deodorant, toothbrush — the stuff that goes with me no matter where I go. Most of those familiar things probably are on your packing list as well. But there are a few other items I always include that might not be the things you always pack. The next time you get ready to take off, consider adding these useful objects to your list — although I warn you, it might mean a trip to the toy store. I loved my fancy $250 noise-canceling earphones, but after they were stolen, I switched to those foamy plugs that cost about 20 cents and are preferred by construction workers around the world. They certainly don't block out all the noise (you still need to hear things), but they do take the edge off when I'm in range of screaming children, barking CFOs and the 37 announcements in the terminal that don't concern me. Sunlight, the enemy of sleep, can be blocked with a simple eye mask, which also places a relaxing, gentle pressure on your ... Read the entire article. Push off retiring until age 70 and your financial world is going to be much brighter. The Center for Retirement Research at Boston College reports in a new study titled: “National Retirement Risk Index: How Much Longer Do We Need to Work?” that a whopping 85% of households would be prepared to retire by age 70. I want to believe this. And I also believe that most of us will want to keep working even beyond that in our so-called retirement years part-time, or in some fashion, for plenty of good reasons. Work does not have to be drudgery or ... Read the entire article. Orange County ... Read the entire article. These 10 simple organization tips show how to turn empty space in kitchen cabinets and drawers into useful storage for supplies and utensils.